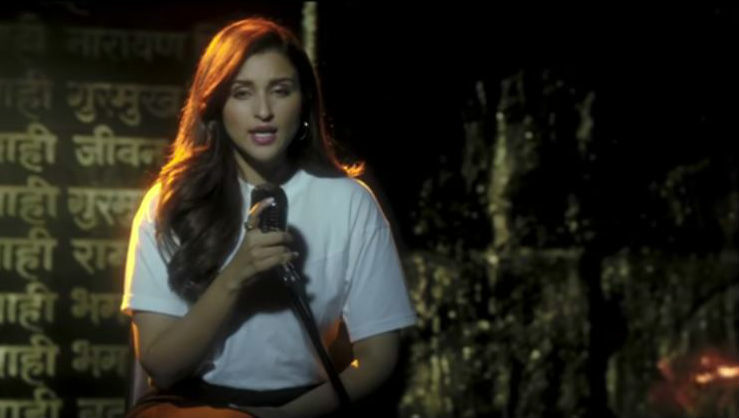 Mumbai, April 16: Actress Parineeti Chopra, who has done a melodious rendition of "Teri mitti" from "Kesari", is asking music directors to explore her ability to sing. "I think now is the time for me to sing more and show people what I can do because I do believe I can sing. I have been trained enough for me to be able to learn and I want to hone that skill as much as I can so that I can sing better and better," Parineeti said in a statement to IANS. Parineeti Chopra Responds to Priyanka Chopra-Nick Jonas Divorce Rumours; Says ‘It Was a Terrible Article’. Her version of "Teri mitti" has got a good response from the audience and music industry. A trained Hindustani classical singer, this is Parineeti's second song after "Maana ke hum yaar nahin" from "Meri Pyaari Bindu". "I come from a family of singers so I have been blessed and given the gift of having (what they call) sur and taal. While I was growing up, my parents thought that it was a good idea for me to also learn it professionally, so my style of singing is very Hindustani classical because that's what I learnt from my Guruji, Nidhi Narang." Parineeti Chopra Looks Radiant In This Latest Picture Shot By Avinash Gowariker.